Insulation is one of the qualifications of earning an ENERGY STAR® rating for energy efficiency. A replacement window, when installed, needs sufficient insulation to reduce thermal transfer, which translates to indoor heat loss during winter and heat gain during summer. Without energy-efficient windows, your indoor heating and cooling requirements would increase, resulting in increased energy consumption. For years, wood frames are the preferred material for their inherent insulation. Modern vinyl frames have caught up, however, thanks to their insulated cores that complement dual-panel window glass and low-emissivity coatings. Enhanced insulation results in less need for your indoor heating and cooling system to compensate. Our Alside replacement windows feature insulated vinyl windows that complement the exclusive ClimaTech® insulated glass packages. Vinyl’s low-maintenance properties have been its main attraction since it was first made available. If you’re tired of having to scrape and repaint your windows every few years, then vinyl windows are the perfect option. Gone are the days when vinyl windows are only available in white, today’s vinyl windows feature factory-applied colors and finishes that won’t blister, flake, or peel. Plus, vinyl windows resist the effects of moisture, making it the ideal wood window replacement option. With the exception of off-the-shelf replacement units, vinyl windows look nearly seamless and can be built much faster. This helps reduce the build time and compress the timeline if you need an immediate replacement. Custom window sizes are ideal, as it doesn’t modify the existing wall opening. This is perfect if your home happens to have a permanent exterior like brick or stone or if you’re working on a historical restoration project. 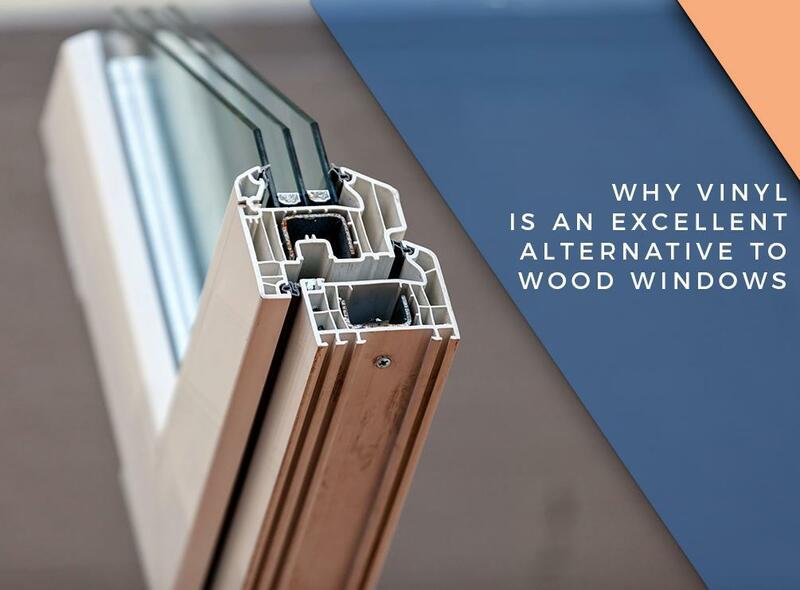 Overall, vinyl windows are on par with most replacement window options, making it less of a “budget” option and more of a true wood window replacement option. To know more about Alside vinyl replacement windows, call Kroll Construction today at (888) 338-6340 or fill out our contact form to schedule a convenient time for a free estimate. We serve Detroit, MI and nearby areas in Michigan.